All designs are made to order at our Sussex studio workshop, so we can offer a high level of choice when it comes to selecting finishes to suit your project. Metal finishes are achieved using highly skilled hand polishing and patination techniques. 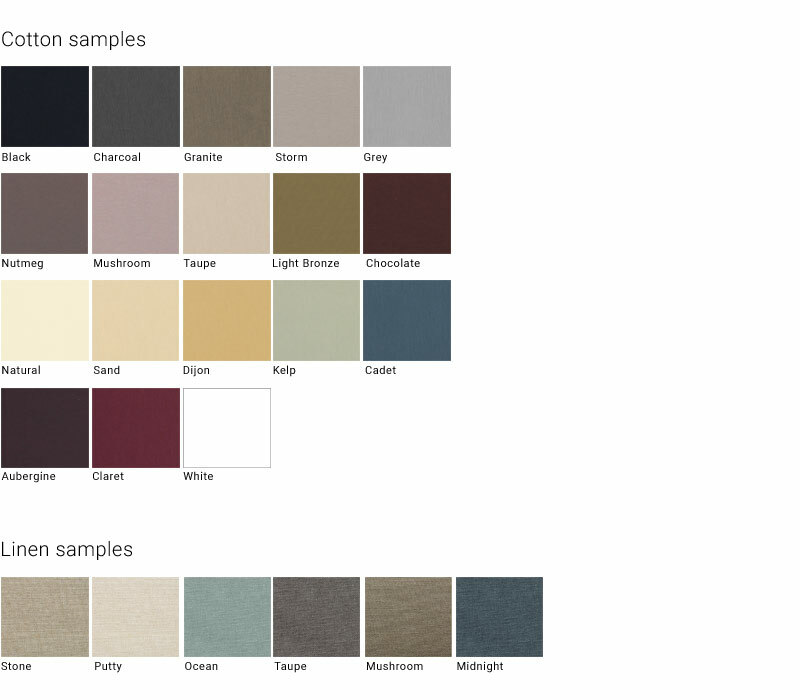 Stock colours: Our shades are handmade in England from the stock cotton and linen colours below. The white card inner lining we use, allows light to pass through the shades to create an ambient glow. On request: We have a wide range of pure Douppion silk options on request. If you have already sourced your own fabric, we are happy to use this, subject to suitability. Inner shade linings in polished gold, matt gold, matt silver, polished copper are also available on request. 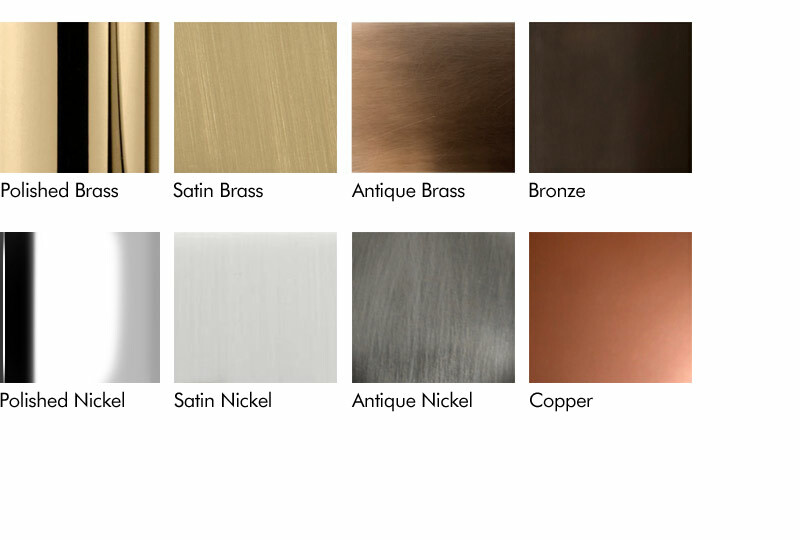 Contact Us to discuss special custom metal finishes, fabric choices or to order samples.